knocked loose, place a Plug-lock insert over any C20 input cord and connect it to any C19 outlet. The insert strengthens the connection of the plug to the outlet, keeping critical equipment plugged-in and running during routine rack access and maintenance. 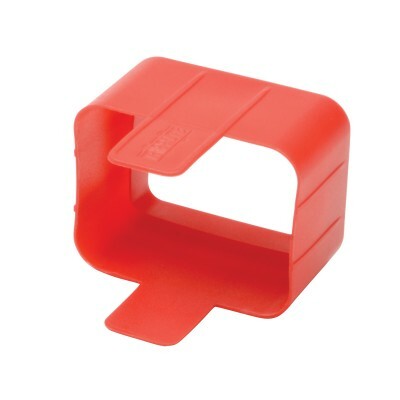 Plug-lock inserts provide a no-clutter alternative to common zip-tie cord retention schemes and a low cost answer to expensive proprietary locking plug and outlet hardware. PLC19RD Plug-lock inserts ship in packages of 100.